The former Purdue Power Plant (HPN) with its iconic smoke stack and the attached Engineering Administration Building (ENAD) at the very heart of campus played important roles for most of the twentieth century. To many Purdue students and alumni, the smoke stack not only symbolized the emphasis at Purdue on technology but also provided a visible marker for the Purdue campus. The smoke stack was lovingly referred to by many as “Purdue’s finger to the world.” Amid controversy, the smoke stack was demolished in the early 1990s when the Purdue Clock Tower was constructed to locate the campus on the landscape. 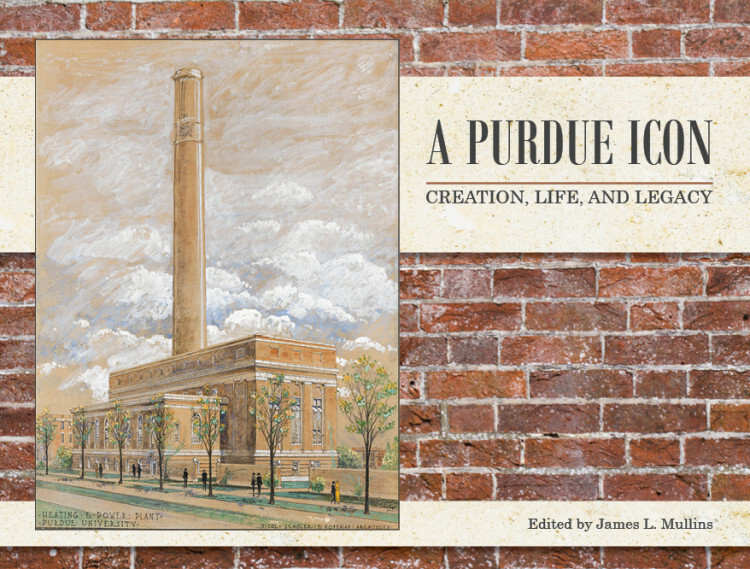 A Purdue Icon: Creation, Life, and Legacy is an edited volume that speaks to the history of the Power Plant, from the initial need for increased power and heat to meet a growing campus demand and its Romanesque architecture that allowed it to fit contextually on the campus, to the people who worked to bring heat and power to the campus by keeping the boilers up and the students who experienced the principles and applications of mechanical engineering through active learning. This book tells the story of the transition to alternative power and heat sources at the University, the decommissioning of the Power Plant, the controversy about what was to be done with this important site at the heart of the campus, and the challenges associated with the Power Plant’s potential reuse or demolition. The unique problems faced with demolishing a contaminated building in the middle of a major research university campus are insightfully explored before introducing the Thomas S. and Harvey D. Wilmeth Active Learning Center—a potential new Purdue icon. James L. Mullins, PhD, is the dean of Libraries and Esther Ellis Norton Professor. In his role as an academic library administrator for over forty years, he has been involved in facility planning and construction at Indiana University South Bend, Villanova University, Massachusetts Institute of Technology, and Purdue University. Since his arrival at Purdue in 2004, he has championed the construction of a building on the site of the Old Power Plant that would combine the science and engineering libraries and classrooms to address the changing use of libraries by Purdue students in the twenty-first century.